Ardroy is a significant local employer, and plays an active part in the Lochgoilhead community. 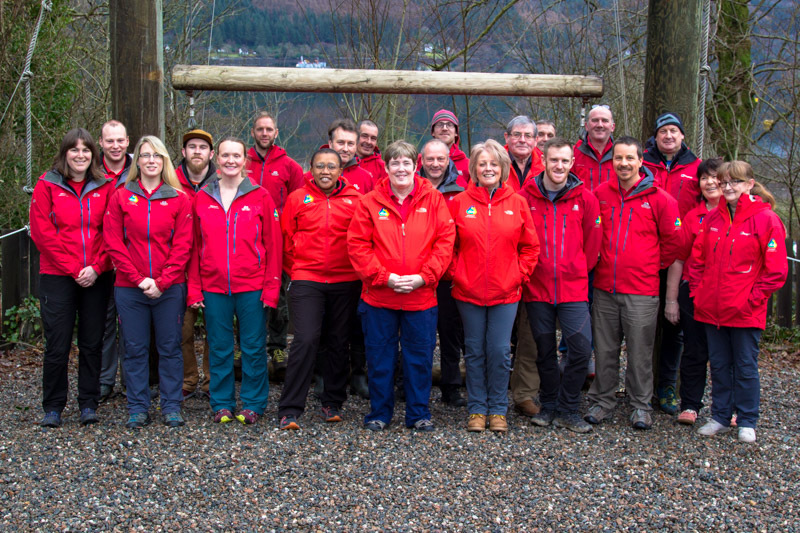 The Instructors come from a wide variety of backgrounds. What they have in common is a friendly approach, an enthusiasm for the outdoors and an inspirational style, whilst always maintaining a high level of safety and quality throughout. They are all Disclosure Scotland checked, and hold a range of outdoor qualifications, including First Aid. These Instructors could go nowhere without the support from the Administration, Domestic and Maintenance teams. The Administration team deal with customer enquiries, and do the "swan's feet" bit, working away behind the scenes, ensuring a smooth-flowing operation. The Domestic team produce high quality meals to the 2,200 + people who stay at Ardroy every year. They also have the never-ending task of cleaning, ensuring the centre is ready to receive each new group. We hold the Healthy Living Award - and were also the first establishment in Cowal to receive the Eat Safe Award from Argyll and Bute Council. The Maintenance team have the task of keeping the buildings maintained, plus our grounds. They also drive our minibuses to transport groups to and from off-site locations. Ardroy is a Charity, a Social Enterprise, and a Company Limited by Guarantee. We like to think we are a friendly bunch, delivering a high quality experience to all our customers. Feedback from our clients consistently identifies this as being one of the most positive aspects of the Ardroy experience.